Silent rage is no secret, even though it's silent. 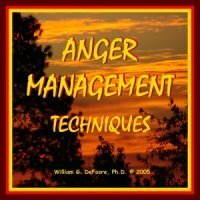 Most communication is nonverbal, and you can rest assured that your eyes, expressions, voice tone and mannerisms are communicating your suppressed rage and anger. Keeping it inside is certainly better than exploding on someone, it's just not a long term solution. It got this way because you don't know what to do about your anger, and it just kept building. 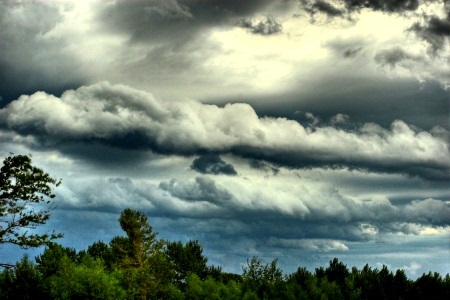 Like a storm brewing, it's not just sitting there, it's getting ready for something to break. It's time to take care of this, before it gets much worse. There are answers here, and you can take the necessary steps to get past this problem. You've got what it takes to get the job done. Where Does Silent Rage Come From? It never "comes out of nowhere" like a lot of people think. There is always a reason for all kinds of anger, including rage. You were hurt somehow, and your wounds never healed. You feel like nobody really understands, or cares. Your needs have not been met, and you're very, very frustrated. You may feel very justified in your thoughts and feelings at a certain level. You give way too much attention to the things that infuriate you, and give you a negative view of the world. It's only silent because you're afraid of what will happen if you let it out. You're not a bad person, and you really don't want to harm anyone...but the rage kind of makes you crazy. 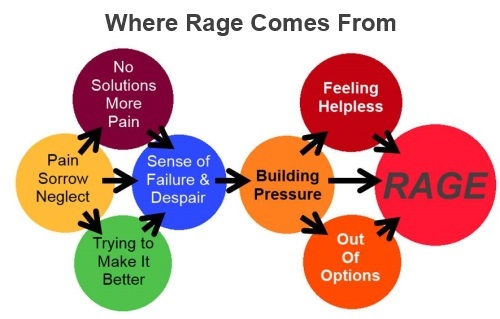 That's the way rage works. The only reason you're still reading this is because you have some hope that things can get better. You are tired of the silent rage, and you don't want it to explode or turn into an illness. First, the wounds have to be healed. Review the ways in which you were hurt, starting in your childhood and leading up to today. Include major losses, and unmet needs. Write it all down. This has been found to be healing, all by itself. If you feel you need more help, search this site, or seek counseling for further support in your healing. The next step is to begin to learn to love yourself. I know, this is a tall order, but you can do it. One of the reasons your rage is silent is that you have a good heart and you don't want it coming out and hurting those you love. Finally, you need to shift your mental focus to what is good, right and working about you and the world around you. This Goodfinding journaling process will help you with that. You've already taken some important steps to healing silent rage, just by being with me at this point. You can do this. You have the will and determination and good heart right there inside you.